Theres is a bug on this carnival event? ; i used my saved runic card and got 3k plus points. but the points did not apper on my card points. 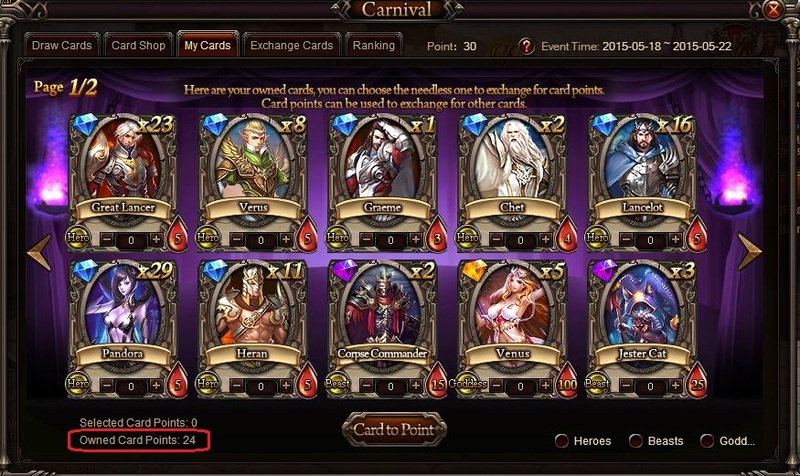 I saved that runic cards from the past carnival events to get the hero Hermes but when i used it, it was got lost hope that you fix this problem of mine and bring back my runic card points. Thanks in advance ADMINS of Knight Fable and MORE POWER. 2019-4-22 04:54 GMT+8 , Processed in 0.061921 second(s), 36 queries .